A solid-state tale. My favourite amp. After finishing my last solid-state amplifier I was away from the DIY audio scene for some months but a few weeks ago something bad happened to my last amp. My roommate was helping my move my audio components from my car trunk to my apartment and he accidentally dropped my solid state amplifier down the stairs. The amplifier didn’t have an enclosure and all the components were mounted on a wooden board so you can imagine what happened to the PCBs after that accident. It was time for a new build! 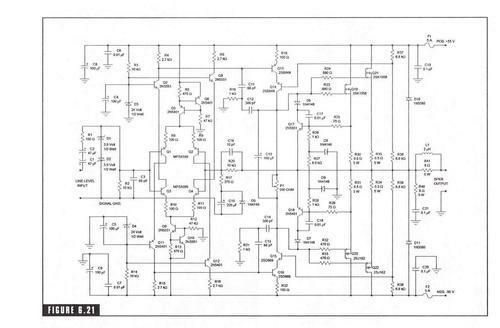 After browsing the Bgaudioclub forum I came across a great thread about the Randy Slone’s favourite amplifier schematic from his book The Audiophile’s Project Sourcebook. I don’t know if it’s ok to post the schematics here, but if I infringed any copyrights please drop me a mail to remove it. 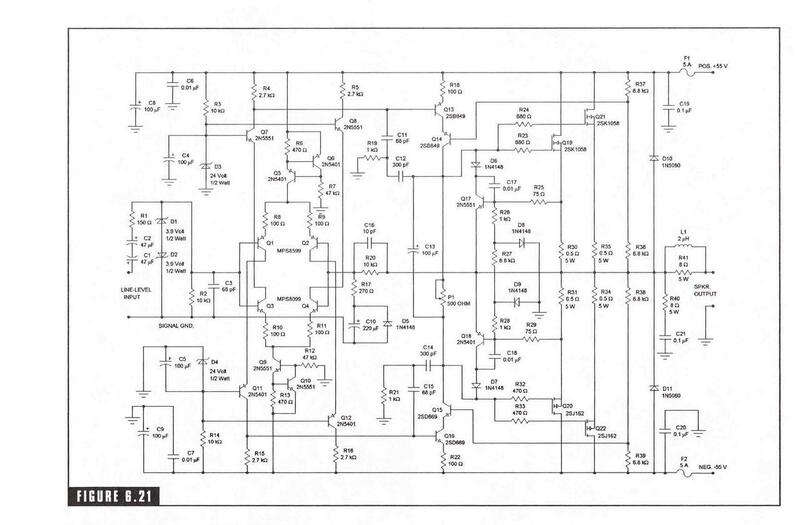 As the schematic is relatively complex for a homemade PCB. 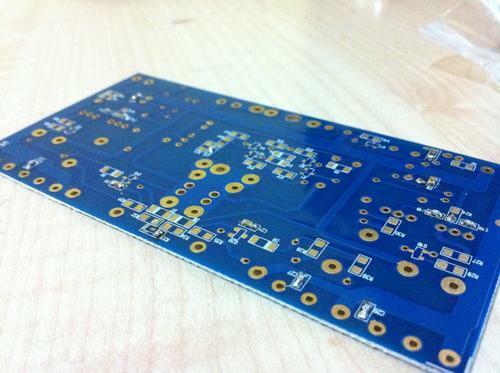 I found out that a forum mate had some PCBs left and I bought two. Then I ordered the parts required for this build from Comet/Farnell. The problem was they didn’t have the 2SK1058 and 2SJ162, so I ordered them directly from the USA to be sure that I won’t come across fake transistors. A few days later I had everything to begin with the build. Almost all the components on the PCB were SMD including many transistors and I don’t have a reflow station so it took a some hours to solder everything on both sides of the PCBs. After I soldered everything, mounted the transistors to a heatsink and connected the cables I plugged the amplifier into the mains. Hm, there wasn’t anything coming out from the speakers… I wondered what’s wrong, but then I pressed play. The amplifier was perfectly working, it was so quiet that I could not hear any noise coming from my speakers… NICE! There are silicone insulation pads between the transistors and the heatsink, I just cut them to match the size of the transistors and therefore you can’t see them. It is a classic unregulated PSU consisting of a 500VA copper shield insulated transformer with a 39-0-39VAC secondary, 4x HER607 diodes shunted with 4x 33nF caps and 2x 15,000uF/63V filter capacitors(+100nF MKPs). An EMI filter is added before the trans. My first impression of this amplifier was “WOW”… As soon as I pressed play the room was filled with warm yet very dynamic sound with plenty of bass considering my bookshelf speakers /B&W 685/. I listened to the following tracks at first: Sade – Jezebel, Sade – No Ordinary Love, Candy Dulfer – Lilly Was Here, AYO – Without You, Zazz – Je Veux, Steve Strauss – Mr. Bones and some orchestra. I knew that the 22uF bipolar Nichicon Muse at the input was not the best choice for this amplifier/for any amplifier/ but I still liked the sound. After an hour or so listening, the capacitor started to settle down and the sound became more transparent and colorful. I didn’t have enough time to let the amplifier settle down and listen to it because I went on a vacation for a few days. I will post a follow-up with more details about the build and the sound when I get back in a few days. 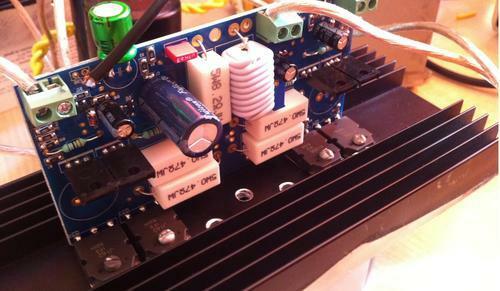 So far this is the best DIY solid-state amplifier I’ve ever heard!